The stamp designer for this issue is Mr. António Conceição Júnior, and the text for the information brochure is written by Rev. Lee Chee Kong, Chairman of Hong Kong Christian Cultural Society and Dr. Wu Zhiliang, Member of the Board of Directors of Macao Foundation. This is the eighth issue in 2007. 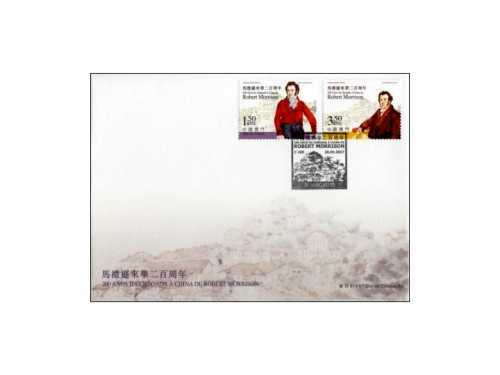 The issued stamps are as “Lunar Year of the Pig” on 08/01/2007; “Shek Wan Ceramics” on 03/02/2007; “Scenes of Daily Life in the Past IV” on 01/03/2007; “Chinese Traditional Shops II” on 08/05/2007; “Seng Yu – Idioms II” on 01/06/2007; “Literature and its Characters – A Journey to the West II” on 18/06/2007 and “Centenary of the Establishment of the World Scouting Movement” on 09/07/2007. 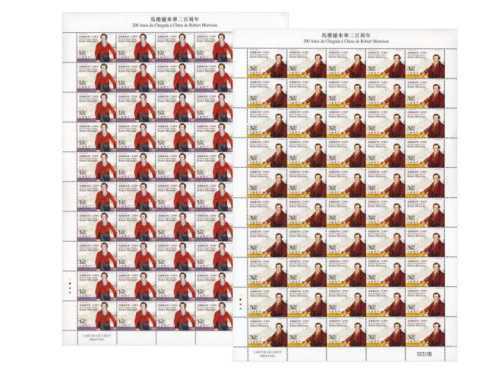 To celebrate the 58th Anniversary of the Establishment of the People’s Republic of China, Macao Post announced that a Temporary Post Counter will be set up at our Philatelic Shop located at the Macao Post Headquarters at 9H00 to 17H30 on 1st October 2007 providing the commemorative cancellation service for the “Celebration of the 58th Anniversary of the Establishment of the People’s Republic of China”. To cope with the World Heart Day, Macao Post announced that a Temporary Post Counter will be set up at the Placa de Amizade, at 15H30 to 18H30 on 30th September 2007 providing the commemorative postmark cancellation service for the “World Heart Day”. 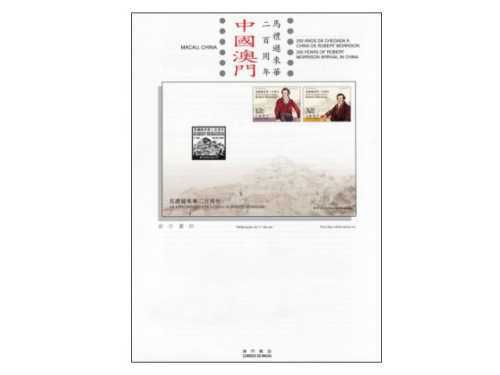 Macao Post will issue a set of five postcards on 28 September 2007, it will be available for sale at the Macao Post Headquarters, all post offices and postal kiosks. 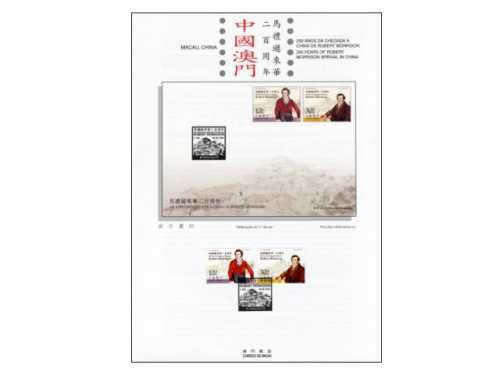 The pictures were selected from the same series of the designs of Anita Fung Pou Chu, which includes 5 sites of The Historic Centre of Macau - “Moorish Barracks”, “Senado Square”, “Guia Fortress”, “Sam Kai Vui Kun (Kuan Tai Temple)” and “Na Tcha Temple”. The selling price for one set of five postcards is MOP28.00. Through this set of postcards sending your message to your friends and let them enjoy The Historic Centre of Macau glowing in the magnificent fireworks.